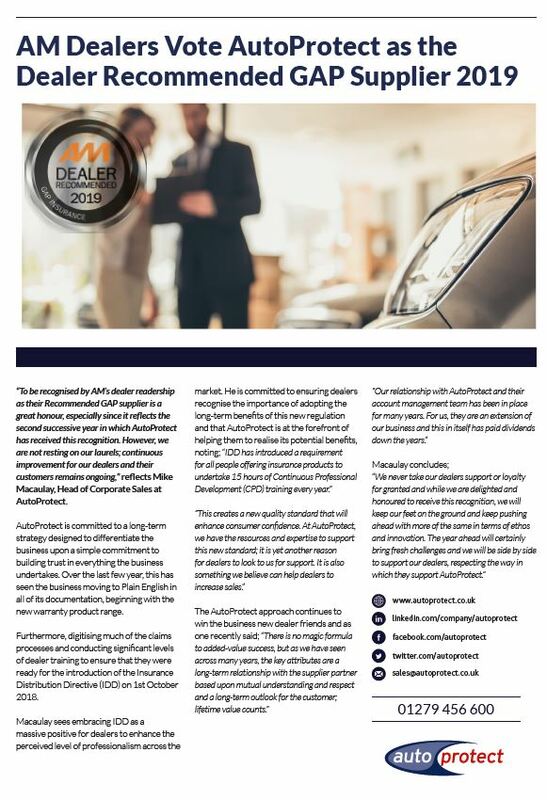 reflects Mike Macaulay, Head of Corporate Sales at AutoProtect. AutoProtect is committed to a long-term strategy designed to differentiate the business upon a simple commitment to building trust in everything the business undertakes. Over the last few year, this has seen the business moving to Plain English in all of its documentation, beginning with the new warranty product range. Furthermore, digitising much of the claims processes and conducting significant levels of dealer training to ensure that they were ready for the introduction of the Insurance Distribution Directive (IDD) on 1st October 2018.